Positivity is the secret ingredient to a healthy lifestyle. 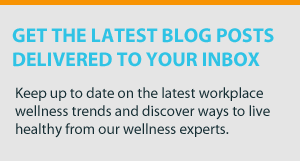 Focusing on positivity in your wellness program helps you tap into your employees’ intrinsic motivation—the motivation inherently tied to their personal beliefs and desires. Utilizing intrinsic motivation for wellness leads to long-term change. Many of the benefits of a positive outlook come from the fact that positive people are more resilient. They’re not only able to more readily bounce back in tough times, but they thrive through those tough times. When the going gets tough, positive, resilient people are the tough that get going. One simple way to shift towards a positive culture of wellness in your company is to start with positive messaging. This type of messaging strategy involves a focus on the words and communication styles you’re using with your employees. 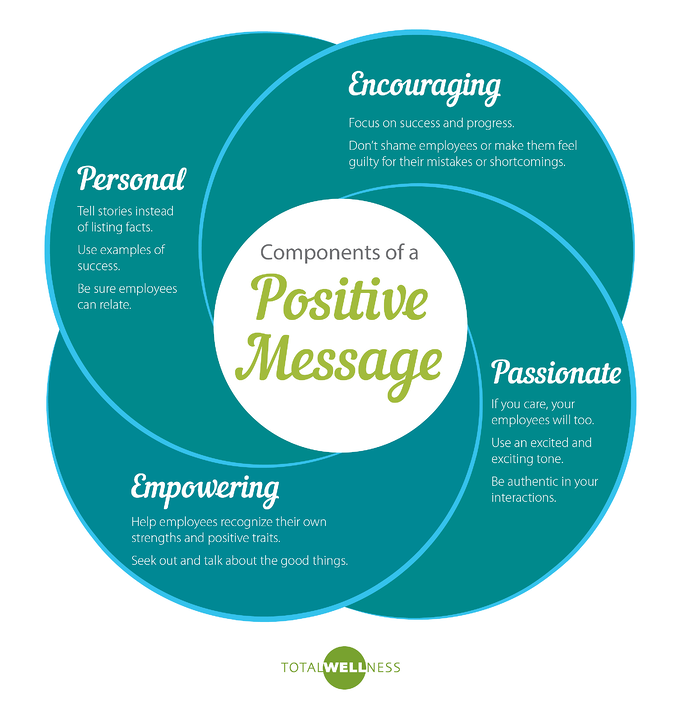 If you can infuse positivity into those words and communication styles, you’ll be able to foster positive emotions from your employees in regards to wellness. Positive messaging provides the groundwork for a positive outlook on any health journey. There are four key components to any positive message. Check them out in the infographic below (you can click on it to make it bigger). Try to work these four things into the words and communication you use, and watch your interactions soar. These four components make up communication that brings about positive feelings about employee wellness. Focus on these in your wellness communication to shift towards a positive approach to wellness where you work. How do you plan to shift towards positivity for employee wellness?